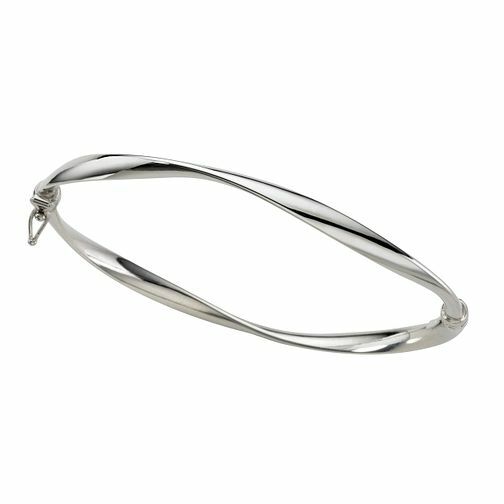 Elegant in its simplicity, this hinged bangle is made from radiant white gold in a contemporary wave design. A must-have bangle for everyday wear. 9ct white gold bangle is rated 4.2 out of 5 by 5. Rated 5 out of 5 by Anonymous from Gorgeous Bangle Received this bangle as an unexpected christmas present and it is simple but looks stunning on. Had a few compliments already!